Follow the history and mystery of the Burren – an area with more than 90 megalithic tombs, portal dolmens, a Celtic high cross in the village of Kilfenora and a number of ring forts, all in the area. Taking one of the many walking trails is the best way to experience it all. Free guided walks are held daily in the summer months – leaving from the Burren National Park Information Point in Corofin. Get active Whatever way you love to ‘get out there’ – you’ll find it right here in the Burren. Clare Walking Tours offers a range of walks and hikes, from the easy to the most challenging, for everyone in the family. Surfers will find their wave paradise at Lahinch – the watersport capital of Clare - and lessons and rentals are available. Kayaking and paddle-boards are popular and available at Fanore Beach. 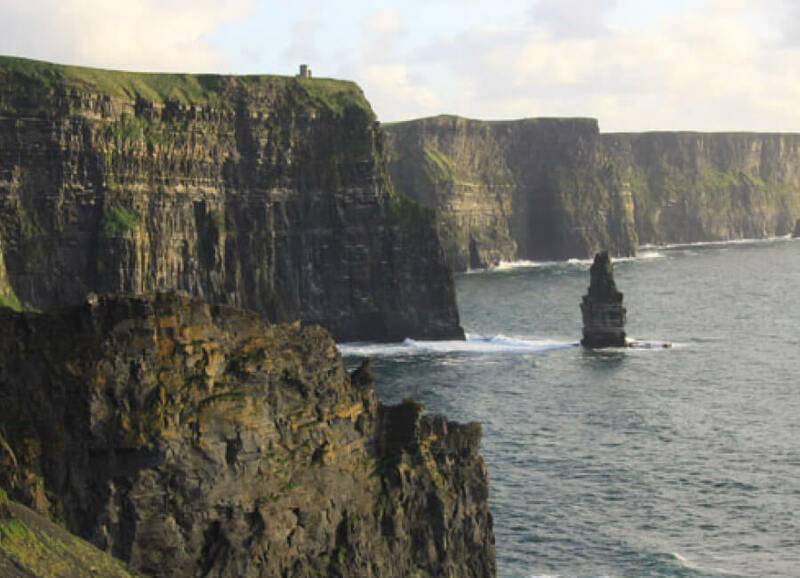 Cycling has become hugely popular in recent years and North Clare was endorsed as one of the Lonely Planets Top Ten Cycling Destinations in the world. Horse-riding and rock climbing are also popular . The beautiful Trump Doonbeg and Lahinch Golf Clubs are just a short drive away for golf at its best.